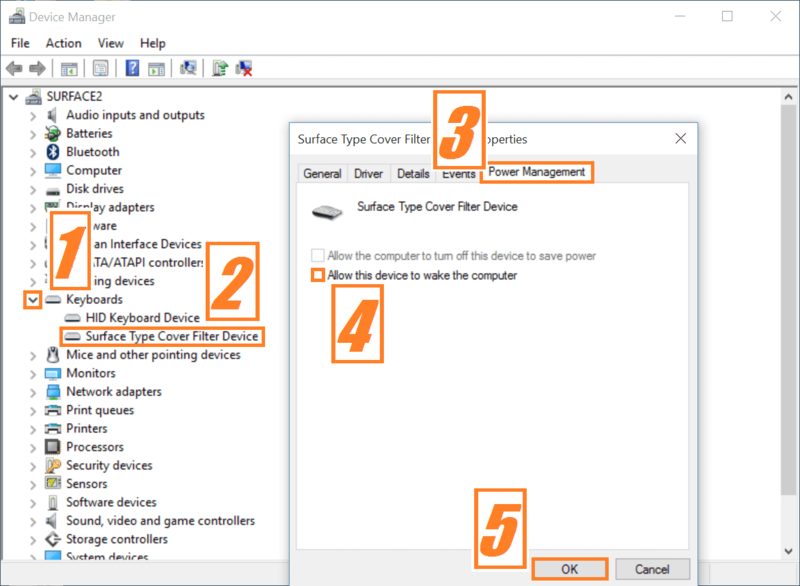 How To Fix Surface Pro 2 Sleep / Standby Issues? Wally’s Answer: Microsoft released Windows 10 for laptops and desktops, they also released Windows 10 for Tablets and phones running the Windows operating system. This upgrade has been applied by many users of the Surface line of Windows tablets, but some have encountered bugs and issues. Here we will look at the sleep problem with the Surface Pro 2. Many (maybe all) Surface Pro 2 users experienced that after the Windows 10 upgrade, their Surface Pro 2 wakes up from sleep all by itself. The device is woken up by the type cover by itself. This isn’t really a fix to the problem. Microsoft has yet to release a Windows update fix for this problem, but it should be fixed at some point. In the meanwhile, you can use this temporary fix to stop the device from sleeping when you don’t want it to. Touch the Windows Tile > search for device manager by typing it > touch Device Manager from the search results. This will tell Windows not to let the device to wake up when you hit a key, but it least it sleeps this way.